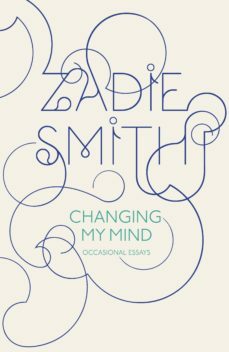 Changing My Mind is a collection of essays by Zadie Smith on literature, cinema, art - and everything in between.A supremely good read. Smith writes about reading and writing with such infectious zeal and engaging accessibility that it makes you want to turn up at her house and demand tutoring Dazed and ConfusedAlarmingly good MetroStriding with open hearted zest and eloquence between fiction (from EM Forster to David Foster Wallace) and travel, movies and comedy, family and community in a self-portrait that charts the evolution of a formidable talent. In lovely elegiac pieces on her late father Harvey, D-Day veteran and Tony Hancock fan, Smith also delivers some of the most affecting autobiographical writing in any form Independent, Books of the YearBrilliant. Shes friendly and conspiratorial, voicing the kind of clever theories we could imagine ourselves holding if only we were as articulate as Zadie Smith VogueFascinating. Smith has the gift of showing you how she reads and thinks; watching her do it makes you feel smarter and more observant. Her account of her struggles as an author may be the most authentic, unglamorous description of novel-writing ever put on paper TimeZadie Smith was born in north-west London in 1975. Her debut novel, White Teeth, won the Whitbread First Novel Award, the Guardian First Book Award, the James Tait Black Memorial Prize for Fiction, and the Commonwealth Writers First Book Prize, and was included in TIME 100 Best English-language Novels from 1923 to 2005. Her second novel, On Beauty, was shortlisted for the Man Booker Prize and won the Orange Prize for Fiction. She has written two further novels, The Autograph Man and NW, a collection of essays, Changing My Mind, and has edited a short-story collection, The Book of Other People.